Founded in 2000, Alfa Hydro Machine Tool began Manufacturing and Supplying Hydraulic Equipment for the industrial and commercial market. The products which earned us substantial growth include, next generation Hydraulic Cylinder, Hydraulic Test Rig, and Hydraulic Machines. All our equipments are backed up by best assurance of reliability and longevity. Since our offered machinery is an efficient torque multiplier, it can be used for certain applications related to lift, tower or rotate components in earthmoving, mining, construction, automotive engineering, textile, engineering and power plants and various other industrial applications. Due to our focus on innovation and dedicated customer services, we have made a nationwide presence amongst the leading solution providers in the hydraulics industry. 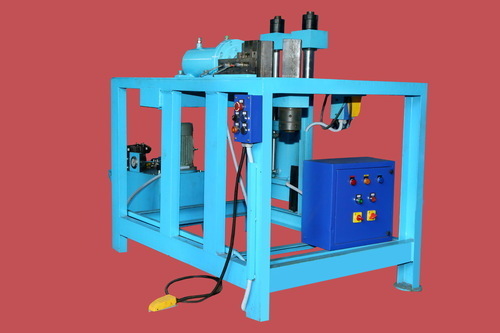 Our customized hydraulic solutions are widely appreciated for their unique design and affordability, which would not have been possible without our highly advanced manufacturing unit. Owing to the extensive research and innovative product development, we are capable of producing best in class machinery that is up to all challenges of force applications. Our prestigious clients get the advantage of being over the competition by obtaining our manufactured hydraulic machines that are at the cutting edge of technology and making us industry leaders with a rapid growth.